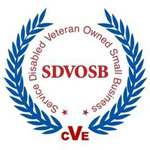 We are a Service-Disabled Veteran-Owned Supplier! Dogwood is service-disabled vetern-owned small business, a vetern-owned small business and a Vietnam-era veteran-owned small business. Why does this matter to government agencies and to business? Public Law 108-183 enables service-disabled-owned firms to receive sole source and restricted competition contracts for goods and services used by the U.S. government. PL 106-50 establishes a 3 percent federal-wide procurement goal for SDVOB contract & subcontract participation. Dogwood has been certified by the Center for Veterans Enterprise (CVE), US Department of Veterans Affairs; we are listed in their database. Question: "Can I sole source from Dogwood?" Answer: The Veterans Benefit Act of 2003 allows you to sole source up to $3 million from SDVOBs, if you believe they are "a responsible contractor", that you do not believe that other SDVOBs "will submit offers for the contracting opportunity" and that you believe "the contract award can be made at a fair and reasonable price." Our services are priced competitively, we have been in business since 2001, and our clients include government agencies in the US and around the globe. Question: "Does this also apply to commercial customers?" Answer: Absolutely. Service-disabled veteran-owned businesses fully qualify as "minority set-aside"; we welcome the opportunity to show you why our clients rank us in the top 2% of ability to deliver services in a timely, efficient, cost-effective and appropriate manner. Question: "What makes veteran-owned businesses different than the others? Answer: Veterans learn things at a young age not taught in business school. Click here to learn more.